This article appeared in the print edition of Club Business International in August 2018. New and developing technology in predictive asset management systems is just the tip of the iceberg for improving your gym—and your capex. As sensor technology starts to take root in the fitness industry, we’re seeing predictive analytics being applied to data to drive equipment usage and management in entirely new directions. 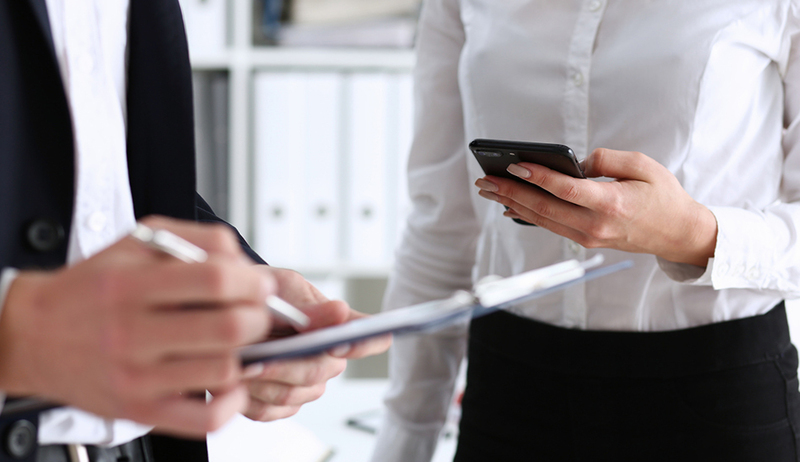 CBI spoke with a few early adopters who are now in the process of implementing sophisticated asset-management programs that tap these new possibilities. While most are still in the beta phase, the benefits have already become clear. What’s emerging is the tip of an iceberg that could completely reshape the way clubs deal with exercise equipment. Reduced downtime, more efficient equipment positioning, maximized life cycles, enhanced preventive maintenance, and, importantly, a positive impact on capital expenditure—predictive analytics has the potential to have a productive impact on any club business, whether it’s a single facility or a global chain. 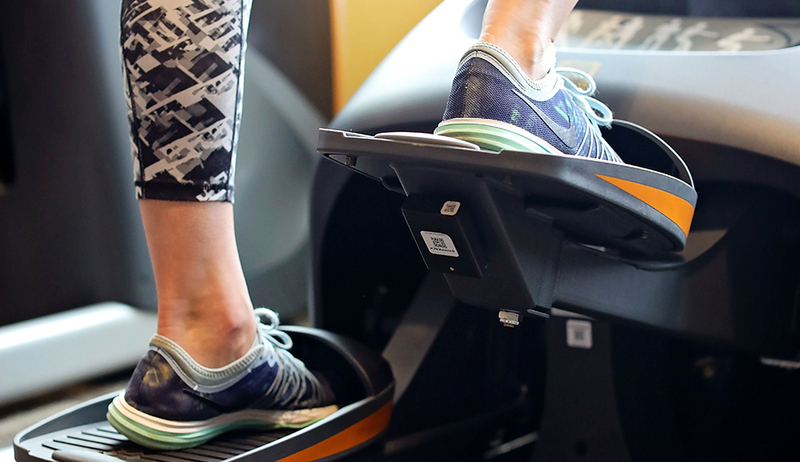 Anytime Fitness is testing sensor-based analytics. Mike Feeney, the executive vice president at New Evolution Ventures (NeV), a Lafayette, CA–based private equity firm, has always been ahead of the curve. When, in 1989, he was brought on at 24 Hour Fitness—the chain whose sale in 2005 eventually led to the creation of NeV—it was with the specific edict of improving equipment maintenance. “At that point, equipment manuals didn’t tell you very much—check cables, lube guide rods, etc.—so we developed our own weekly and monthly preventive maintenance schedules,” he explains. “When I started, for example, our company didn’t even have treadmills. … So, when treadmills came out, we started to incorporate the things that we discovered had to be done into our own manuals. For instance, how often you needed to clean between the belt and the deck, vacuum out the inside of the motor’s compartments, vacuum underneath the treadmill, etc. About three years ago, NeV, whose club-brand portfolio now includes Crunch, CR7Crunch, UFC Gym, A-Rod Energy Fitness, and One Life Fitness, began testing the value of predictive analytics with respect to sensor-connected equipment. Its goal: automating equipment maintenance. Currently, beta testing is taking place in some 14 clubs and involves more than 2,000 pieces of equipment. Feeney reports that it already has delivered a number of benefits, including better preventive maintenance and, perhaps most importantly, an improvement that’s member-facing. 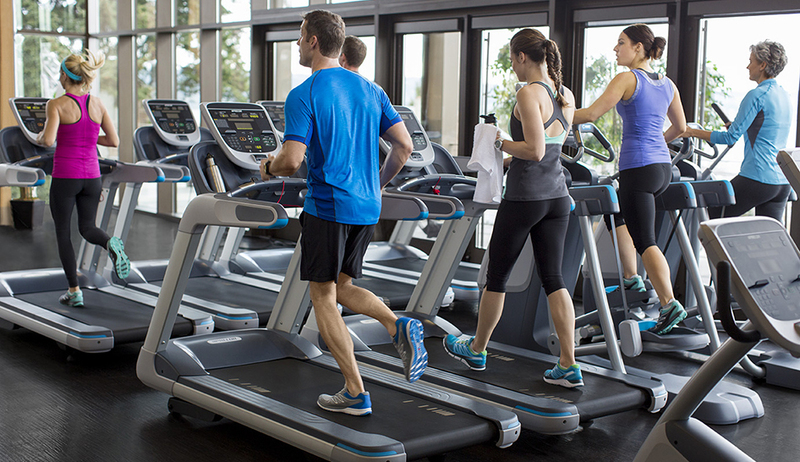 Precor analytics maximize equipment's uptime. Active Wellness, a San Francisco–based health management firm with three owned and 52 managed facilities, is currently trying a similar system at one of its own Active Sports Clubs in nearby Oakland. The pilot, a part of the company’s Active Health Tech Lab initiative, has corroborated one of the benefits identified by Feeney. “The first takeaway from our program—and one that absolutely blew me away—is how habitual human behavior is,” says Mike Rucker, Ph.D., the firm’s vice president of technology. “We discovered that there’s a significant number of members who, if their favorite piece of cardio equipment is down for maintenance, will choose not to work out. Instead of finding an alternative, they leave the club disappointed. Robbie Sprechman, the CFO at Retro Fitness, echoes Feeney’s and Rucker’s optimism for preventive-maintenance technology. The company, which has 143 sites in 16 states, has installed equipment sensors at 15 of its clubs. Its asset management system features a dashboard that permits Sprechman and his staff to view the status of any machine, at any location, at any given point in time. “It’s helping us to save money and optimize equipment usage across the board,” he says. “But we didn’t start down this path because we wanted to save money on maintenance or to improve capex— although both of those things are happening. This is 1,000% about uptime. Analytics can help operators plan for the future more accurately. The ability to track the status of equipment, including the amount of time users spend on each piece, does more than help operators determine if everything is working. It also allows them to ensure that machines are operating at peak level, and to extend their lifespan by rotating and repositioning them to maximize efficiency. Anytime Fitness, based in Woodbury, MN, has some 32 owned and 4,000 franchised clubs, and recently launched a predictive pilot test at three of its own properties. Its system makes use of manufacturer-provided connected equipment, plus data supplied by a third party. The stats and graphs being generated at Active Wellness also are teaching them a great deal about layout. Another of Tinoq’s clients employed its user and equipment data to redesign its huge fitness floor. At Retro Fitness, a monthly “swap report” is utilized to balance equipment. “The report gives me utilization stats we can use to make decisions about moving equipment around,” says Sprechman. “It lets me know that, if treadmill No. 1 has 1,000 hours on it, and treadmill No. 10 has two hours—it’s time to swap them. It’s an excellent program. Over the long term, month-over-month data and predictive analytics also can paint a revealing big picture of a club’s capex needs. “Having real-time data on equipment life cycles makes ongoing planning much easier, and, more importantly, helps us to make much-better-informed decisions with respect to spending,” says Feeney. “In an industry where most of us make buying decisions based on the relationships we have with suppliers and vendors, predictive analytics is a game-changer. For Anytime Fitness, the accuracy of the information it provides franchisees is a critical element in the franchisor/franchisee relationship, and more data makes it more reliable. Sprechman acknowledges that, in the past, Retro Fitness’ equipment recommendations were somewhat “gut-based.” Certainly, the company understood how the purchasing process worked, but, when dispensing advice, it rarely had hard data in hand. Today, that’s changing. As a result, he says, “capex is absolutely changing because of our program.” During the first year of the test, the company already has enjoyed a capex savings of between 5% and 8%—which is a big deal when talking about the nearly 1,000 pieces of equipment that compose the test base. Finally, Feeney describes one unintended benefit that could conceivably prove incredibly important: that of liability protection. In the case of a typical lawsuit, he explains, if a cable breaks or someone falls on a treadmill, a club needs to be able to demonstrate to a court that it has taken steps to perform ongoing equipment maintenance. Predictive analytics and the data generated about equipment use and updating replace a fallible paper trail with an unimpeachable electronic one. “There’s no question that predictive analytics and its associated data facilitate a wide range of valuable applications,” says Feeney. “More importantly, they help everyone in the organization to better understand a club’s equipment. For instance, they help the CFO and any other staff who might not be as familiar with equipment as you are. When Should Health Clubs Buy New Equipment? Members and staff are always hungry for new equipment. But when is the right time to invest? Brent Darden explains. The ubiquitous "cloud" is connecting your members and fitness equipment like never before. And the possibilities are endless.